I’ve discovered a new way of cooking bacon. 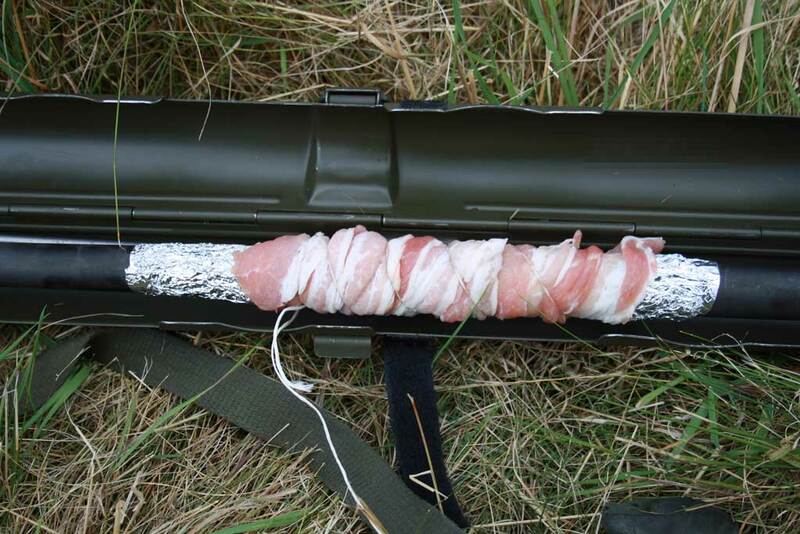 All you need is: bacon, tin foil, some string, and.. oh whats it called?… oh yeah, an old worn out 7.62mm machinegun that is about to be discarded, and about 200 rounds of ammunition. 1) You start by wrapping the barrel in tin foil. Then you wrap bacon around it, and tie it down with some string.